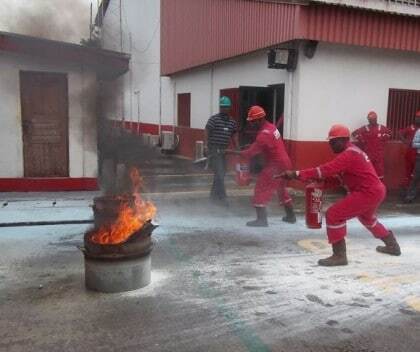 Fire safety can best be described as the set of practices intended to reduce the destruction caused by fire. Fire safety measures include those that are intended to prevent ignition of an uncontrolled fire, and those that are used to limit the development and effects of a fire after it starts. The Fire Service in Niger has called on the public to adhere strictly to fire safety precautions to avoid outbreak during and after the Eid-el fitr celebration. He specifically cautioned mothers not to be carried away by the merriment of the season and allow children to have access to the kitchen‎. Babakudu said cooking that would demand industrial utensils should not be done in the kitchen even if the kitchen was a large one. He emphasised that gas cylinders must always be kept outside the kitchen and stressed the need for homes to have fire extinguishers and to learn how to use it‎. He felicitated with Muslims on the occasion of the Eid-el-fitr and urged them to comply with no smoking rules.